Every elevator door is securely locked by a separate mechanical/electrical interlock that we install in top corner of each door jamb. This interlock will only allow the door to be opened when the elevator is at that particular floor level. We recommend that you use Spring Loaded Hinges which will allow the door to be self closing and latch close when released. 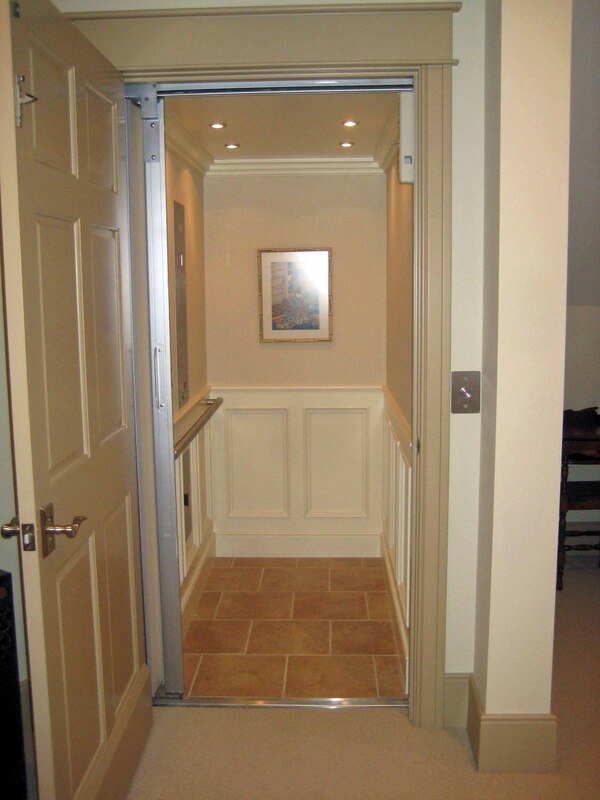 You have the option of having Power Assisted door opening motors if desired. Should you have a glass panel door insert, make sure that it has a "Z" label to confirm that it is a safety approved type glass panel. Please check with our office as code requires some doors to be mounted flush to the inside of the shaft and allows some to have a 3" setback.